Why would I defend false claims...if they are false? So to them it’s like Star Trek movies? Except there it was only the even ones that were any good. I would ask how "what is the source of your data?" is a biased question but I don't have the rest of my life to wait for an answer. In Europe for the weekend Saw don cheadles hockey jersey. That’s some shade. President Idiot wants a Nobel Peace Prize, I guess, because Obama has one. I think Trump at least deserves a Piss Prize, with a dozen high class Russian hookers. 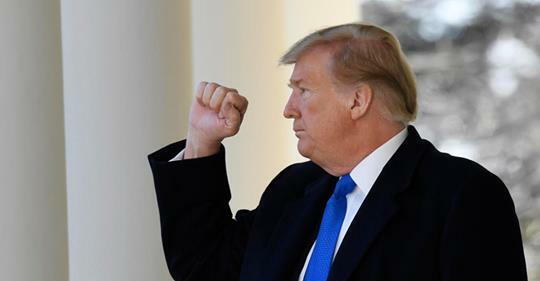 Donald Trump’s rambling press conference Feb. 15 to announce a “national emergency” on the US’s southern border touched on everything from the stock market to his relationship with Kim Jong-un, the North Korean dictator. Abe did indeed nominate Trump, Japan’s Asahi Shimbun newspaper reports, but there was a twist: The Japanese leader did it at the request of the White House. “The U.S. government ‘informally’ asked Tokyo to nominate Trump after he met with North Korean leader Kim Jong Un in Singapore in June,” the paper reported, citing unnamed Japanese government sources. Abe was “acceding to a request from Washington” when he made the nomination last autumn, the paper said. What do you think they were doing when they claimed they found discarded "prayer rugs" at the border. The Japanese are too polite to say no. But not brazen or stupid enough to pretend that the nomination was their own idea. He can't even be bothered to use CAPS! The ramblings of a very guilty man. Nothing I’m sure. He’s just a Trump toadie (who ocassionally “disagrees” with the President to keep up appearances). I'm sure Mueller has an idea. Or the Lindsey Graham who said this? "Donald Trump is not a conservative Republican. He's an opportunist. He's not fit to be president of the United States." "He's a race-baiting, xenophobic, religious bigot. He doesn't represent my party. He doesn't represent the values that the men and women who wear the uniform are fighting for." Which one are you guys talking about? People have been saying for years that he is a little light in the loafers, perhaps that is what they have over him. I'm suspect that Pecker over at the National Enquirer may have obtained proof of that - which is what Donald is using to blackmail Graham. As always, I'm sure the answer is much simpler - Graham is an opportunist who will say whatever he needs to say whenever he needs to say it to make sure he is on the "winning" side. If something happens that takes Trump down, he'll be right there condemning the same man he regularly protects.